The holidays are over and I need a break from butter, heavy cream, bacon, sweets, alcohol, and cooking…and not necessarily in that order. This dish takes a little cooking but not much, the most demanding part is making the rice. 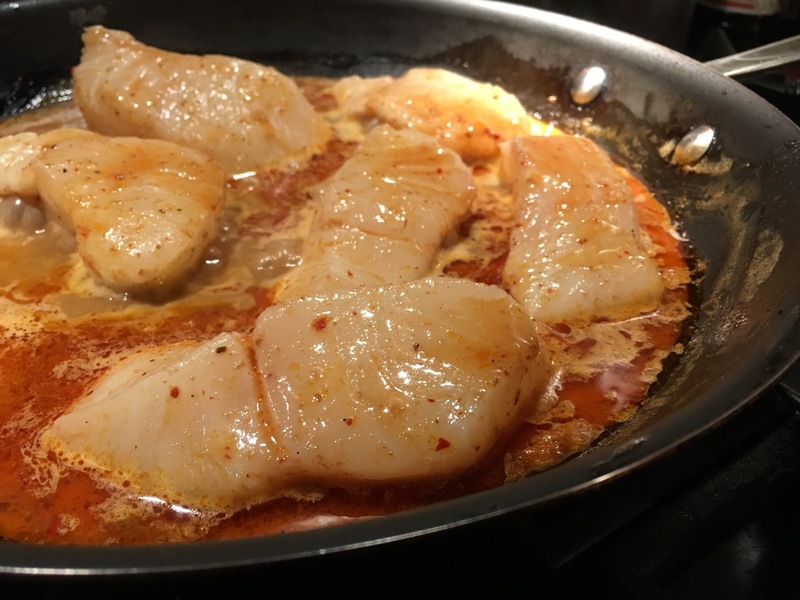 In a large pan heat a can of coconut milk and your favorite curry paste or spices. Cut your cod or other white fish into two inch slices, salt both sides, then add to the simmering sauce. Cook for four to five minutes on each side and serve in a bowl along with some sauce and a scoop of rice. If you have any energy left you could garnish with some chopped cilantro. Cheers to another year of eating!